After receiving $2.5 billion in taxpayer dollars from the federal government, the vast majority of nonprofit insurance companies created under the Affordable Care Act recorded losses in revenue, an analysis by The Daily Signal found. Consumer Operated and Oriented Plans, or co-ops, are nonprofit insurance companies created by the Affordable Care Act. Though the concept is not new, 23 of these entities were created to foster competition in areas where few options are available. Now, CoOportunity, a co-op created to serve Iowa and Nebraska, will be liquidated. Some lawmakers question the viability of the remaining 22 co-ops. The Daily Signal examined the latest quarterly filings for 22 of the 23 co-ops and found that just one was profitable last year. Data was not available for New Jersey’s co-op, Health Republic Insurance of New Jersey. The co-ops received an average of $108.7 million each through the program set up under the Affordable Care Act, leaving taxpayers on the hook for billions if the insurers fail to repay their loans. “That speaks to the problems with a lot of federal loan programs,” Republican Rep. Adrian Smith of Nebraska told The Daily Signal. Former Sen. Kent Conrad, D-N.D., introduced the idea of starting co-ops during debate over the Affordable Care Act in 2009. Their inclusion in the health care law was a compromise between Democrats and Republicans who disagreed over whether to include a public option–or a federal health insurance plan. Oversight of the co-ops is conducted by the Center for Consumer Information and Insurance Oversight, a subagency of Centers for Medicare and Medicaid Services. To assist the co-ops created under the law, the federal government requested $6 billion to fund two types of loans—start-up and solvency—to those eligible. Both loans are offered at low interest rates, with start-up loans requiring repayment in five years and solvency loans requiring repayment in 15 years. The solvency loans assist co-ops in meeting state solvency and reserve requirements. 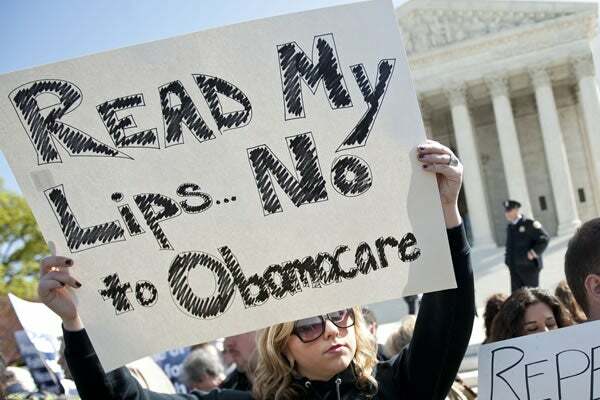 >>> Did Congress Lie About Key Facts to Obtain Obamacare Exemption? After lawmakers on both sides of the aisle raised concerns regarding the requested $6 billion, Congress cut funding to $3.8 billion in 2011. Lawmakers further cut funding to the co-op program. Thus far, according to the president’s 2016 budget for the Department of Health and Human Services, $2.5 billion has been disbursed as of Dec. 31. Twenty-three co-ops were ultimately licensed and awarded funding by the federal government, and they serve 26 states: Arizona, Colorado, Connecticut, Idaho, Illinois, Iowa, Kentucky, Louisiana, Maine, Maryland, Massachusetts, Michigan, Montana, Nebraska, Nevada, New Hampshire, New Jersey, New Mexico, New York, Ohio, Oregon, South Carolina, Tennessee, Utah, West Virginia and Wisconsin. Centers for Medicare and Medicaid Services originally named 24 entities, but the state of Vermont denied the Vermont Health Co-Op a license. That co-op received $33.8 million, and though the government required it to return all funding, taxpayers lost $4.5 million in start-up funds. Dr. Eli Adashi of Brown University recently penned an essay on the Obamacare co-ops for the Journal of the American Medical Association. “Competition is good for the consumer in terms of cost and quality. For that alone, the co-op notion or concept ought to be applauded,” said Dr. Eli Adashi of Brown University. A recent report from A.M. Best, a leading insurance rating firm, found that all but one of the 23 co-ops experienced operating losses through September 2014. The one exception was Maine Community Health Options, which received $132.3 million from the government. “A.M. Best is concerned about the financial viability of several of these plans,” the report states. The Daily Signal examined the same data to determine the magnitude of the operating losses for each of the remaining 22 co-ops. Minuteman Health, Inc., which served only Massachusetts in 2014, experienced the highest losses last year. The co-op spent $1,091 in medical claims and administrative claims per member per month for every $202 it earned in premiums per member per month. However, the Massachusetts exchange experienced significant technological issues, which could be the reason for the losses. The co-op expanded into New Hampshire this year. Freelancers Health Services Corporation, also known as Health Republic Insurance of New York, posted losses that were significantly less. The insurer spent $390 in medical claims and administrative expenses for every $389 earned in premiums. By contrast, Maine Community Health Options profited, according to the latest quarterly filings. 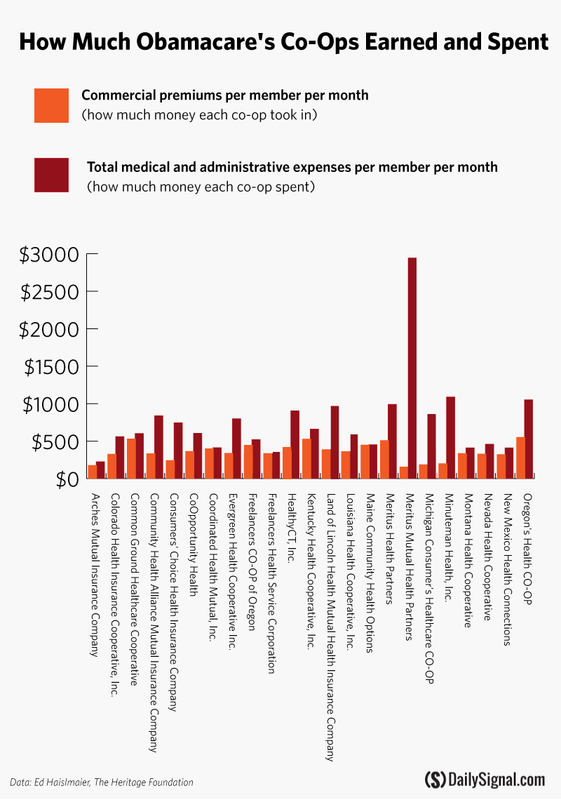 The co-op earned $450 in premiums per member per month and spent $398 in medical claims and administrative expenses. Collectively, more than 520,000 consumers enrolled in health insurance coverage through the 22 co-ops. Enrollment data for Health Republic Insurance of New Jersey is not publicly available. 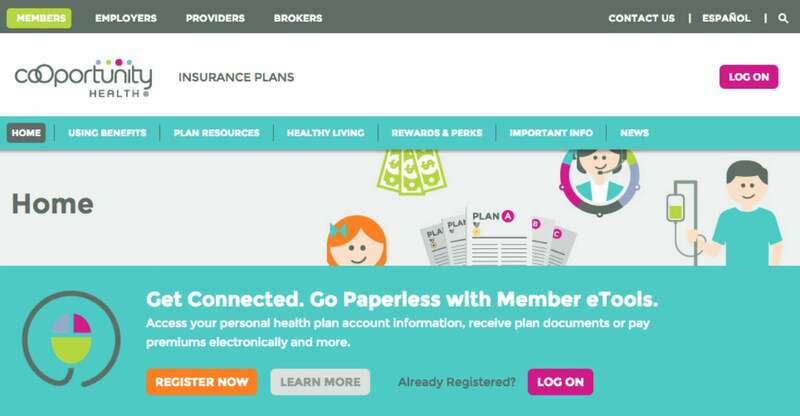 Minuteman Health, Inc., enrolled 1,822 consumers in their plans. The nonprofit insurer received more than $156.4 million from the federal government, spending more than $85,800 on each enrollee. Freelancers Health Service Corporation, also known as Health Republic, in New York enrolled 139,683 through September. The co-op received $265.1 million from Centers for Medicare and Medicaid Services, spending less than $1,900 per enrollee. CoOportunity Health, a nonprofit that provides health insurance for consumers in Iowa and Nebraska, serves as a case study for what can go wrong with co-ops created under Obamacare. The nonprofit insurer originally expected to cover just 12,000 people across Iowa and Nebraska over its first year, and 50,000 over the next three to five years, Iowa Insurance Commissioner Nick Gerhart told The Daily Signal. However, after the first open enrollment period, CoOportunity Health greatly surpassed its predictions and enrolled 120,000 people. Centers for Medicare and Medicaid Services awarded CoOportunity more than $145 million in loans. In September, the co-op received $32.7 million in solvency funding. Because of the influx of consumers—many of whom were sicker and had costly health issues—officials found they hadn’t made enough from premium costs to cover their consumers’ medical claims. In an attempt to stay afloat, CoOportunity Health requested additional operating money from the federal government. 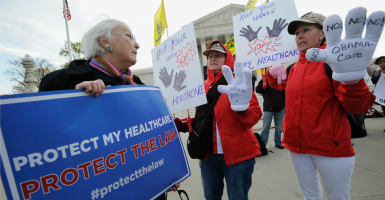 Centers for Medicare and Medicaid Services denied their request. Gerhart announced last month he would seek liquidation of the co-op in an attempt to protect Iowa and Nebraska consumers. He also encouraged those who purchased insurance through the company to seek it elsewhere immediately so as not to have a lapse in coverage. So far, more than 80,000 consumers have done so. And Gerhart isn’t certain CoOportunity Health will be able to pay back the $145 million in loans it received from the federal government, because its outstanding medical claims and payments to the state’s guarantee fund are its top priorities. “You had a perfect storm happen here. They had a lot of business with a lot of claims. The product wasn’t priced right for the risk that showed up, and at the end of the day, they didn’t get further credit extended from their partner in the federal government,” said Iowa Insurance Commissioner Nick Gerhart of CoOportunity Health. Now, lawmakers in Iowa and Nebraska are requesting more information on what led to CoOportunity Health’s collapse. In a letter to Centers for Medicare and Medicaid Services Administrator Marilyn Tavenner, Iowa Sen. Chuck Grassley, a Republican, asked for information related to the funding available to CoOportunity and the role Tavenner’s agency potentially played. >>> Commentary: The House Just Voted to Repeal Obamacare. Why the Senate Should Do the Same. Similarly, Iowa Rep. Dave Loebsack, a Democrat, questioned Centers for Medicare and Medicaid Services’ oversight of co-ops and requested congressional hearings examining CoOportunity’s failure, the Des Moines Register reported. “There are 22 other co-ops operating in 25 states, and I am concerned that given the funding issues the co-op program is facing, we may see this situation repeat itself as we go forward,” he wrote in a letter to the House Energy and Commerce Committee. Smith, the Nebraska lawmaker, also sent a letter to Centers for Medicare and Medicaid Services requesting more information on what contributed to CoOportunity’s failure. However, he hasn’t yet received a response. In an interview with The Daily Signal, Ed Haislmaier, a health policy expert at The Heritage Foundation, said a co-op in Tennessee is headed down a path similar to CoOportunity’s. Community Health Alliance Mutual Insurance received $73.3 million in grants and loans from the federal government to form a co-op in August 2012. The nonprofit offers plans only in Tennessee. It saw an influx of enrollees with the start of Obamacare’s second open enrollment season. During the first open enrollment period, the co-op enrolled less than 1,000 consumers—far less than their goal of 25,000. However, the co-op fared much better this year. Community Health Mutual Alliance Insurance offered the cheapest insurance in the state, and enrollment soared. As a result of growth, the exchange froze enrollment and pulled its plans from the marketplace. Haislmaier said it’s likely they, too, will be strapped for the funds needed to cover medical claims after offering low premiums. According to the latest information from Centers for Medicare and Medicaid Services, the Community Health Mutual Alliance did not receive additional solvency funding from the government. Of the 23 co-ops that received initial grants and loans from the federal government, six requested and received additional money, according to data from Centers for Medicare and Medicaid Services. The co-ops serve Connecticut, Iowa, Nebraska, Kentucky, West Virginia, Maine, New Hampshire, New York and Wisconsin. In total, Centers for Medicare and Medicaid Services doled out more than $924.9 million to these six nonprofit insurance companies. Part of the funding included $375 million in solvency funding distributed between September through December of last year. In 2012, the Republican-led House Oversight and Government Reform committee began looking into co-ops. In several reports, congressional investigators expressed worries that investing in the insurers would be a risky gamble with taxpayer dollars and cited a failed Department of Energy loan program as reason to give pause. Through the Energy Department’s 1705 program, three green energy companies—Solyndra, Beacon Power and Abound Solar—received close to $1 billion in loan guarantees. They later defaulted. A 2013 report from the Oversight Committee looking into Centers for Medicare and Medicaid Services’ management of co-ops said its findings were “eerily similar” to the committee’s investigation into the Department of Energy’s loan program. Centers for Medicare and Medicaid Services did not return The Daily Signal’s request for comment. “[T]he committee’s examination found that some loan recipients may have unduly influenced the final eligibility criteria and that key employees had close ties with senior Obama administration officials,” a subsequent report from the committee stated. In budget documents, the Obama administration also admitted to the risks associated with providing taxpayer-backed loans to the new insurance companies. The Office of Management and Budget predicted 43 percent of co-ops would default on their loans. According to the Oversight committee, allegations of fraud surrounded many of the co-ops that received taxpayer dollars from the federal government. And several investigations conducted by the Washington Examiner found that co-ops in Louisiana, Maine, Ohio and New York and their top officials had checkered pasts. The Louisiana Health Cooperative’s former Chief Executive Officer Terry Shilling benefited from a $4 million contract at a consulting firm where he worked as a principal. The Securities and Exchange Commission also sanctioned Shilling for insider trading in 1998. The co-op received $65.7 million from Centers for Medicare and Medicaid Services. Similarly, the Maine Community Health Options co-op was investigated by the Oversight Committee after it learned the co-op’s president, the Rev. Bob Carlson, had a history of sexual child abuse. Carlson later committed suicide. Maine Community Health Options received $132.3 million from the federal government, including $67.6 million in solvency funding awarded in September 2014. The company behind the Ohio co-op, Coordinated Health Mutual, has a long history of issues, including having been overpaid $10 million by South Carolina’s Medicaid program and owing thousands in back taxes to the state of Kentucky. Two of the company’s top officials also had troubled business pasts. Brett Baby, CEO of the co-op, started an insurance company that was later shuttered by state regulators. Dale Schmidt, CEO of the company behind Coordinated Health Plans of Ohio, filed for bankruptcy for four companies he also owned. Coordinated Health Mutual received $129.2 million from Centers for Medicare and Medicaid Services. 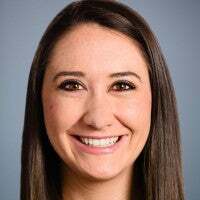 Freelancers Insurance Company, a New York-based firm run by Sara Horowitz, a former Obama colleague, received more than $340 million from Centers for Medicare and Medicaid Services to start co-ops in New York, New Jersey and Oregon. The Future: Potential or Peril? Lawmakers are anxious to learn what is causing the downfall of co-ops so that they can help prevent a similar situation from happening again. As a result of CoOportunity’s liquidation, Smith, the Nebraska lawmaker, told The Daily Signal he has received an influx of calls for congressional oversight and inquiry. “The entire issue begs the question of what is the role of the federal government? … There’s the question of what it’s going to take for us to learn a lesson that federal intervention in health care is the wrong direction,” said @RepAdrianSmith. Adashi told The Daily Signal the insurers achieved their original mission during their first year in the market: injecting more competition into the insurance market. However, he warned that the co-ops differ greatly from their larger competitors because they don’t have deep pockets. “They have to be on their toes in a much more intensive fashion because they may not have the kind of flexibility that a giant insurance company might have,” he said. Adashi said he couldn’t speculate on the viability of the remaining 22 co-ops, but he said their presence in the industry is beneficial to consumers.